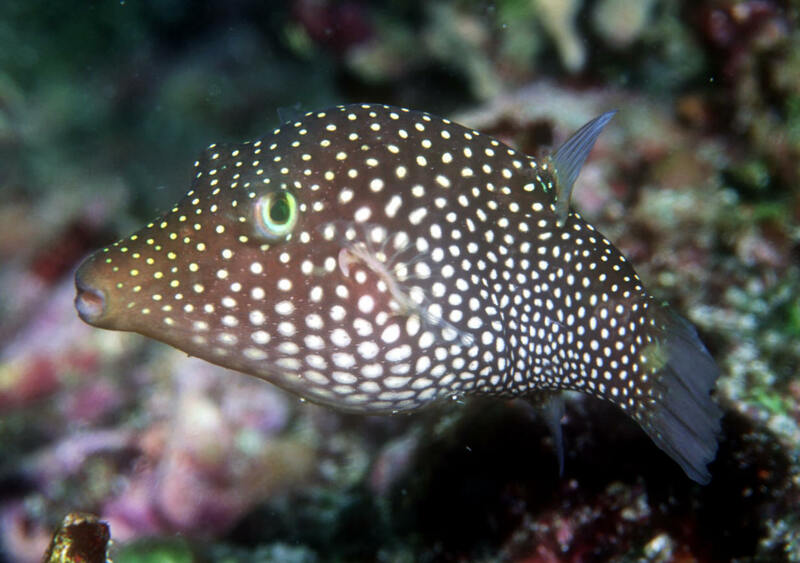 Canthigaster punctatissima (Gunther 1870), the Spotted Sharpnose Puffer. Eastern Pacific. The Pacific C. punctatissimus and Hawaiian C. jactator are almost copies of each other, white spotted against a brown background. The more eastern species is darker. To about three inches in length. Shown here in the Galapagos in 07.